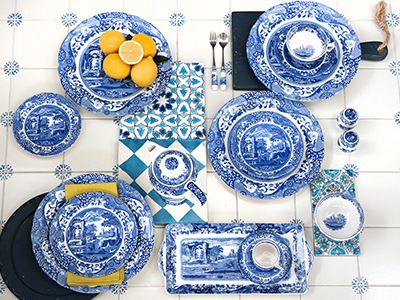 On-trend yet maintaining Spode's unique and unmistakable aesthetic, Ruskin House celebrates the best of British heritage tableware designs. 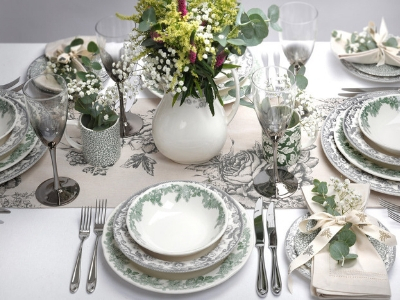 Made in England, this mix and match combines three detailed leafy patterns in a beautiful evergreen colour. Ruskin House is made with the highest quality materials and its design will turn your table into a work of art. https://www.spode.co.uk/spode-ruskin-house-soup-bowl-single 8677 Spode Ruskin House Soup Bowl Single https://www.spode.co.uk/media/catalog/product/r/u/ruty0210_v2_2_1.jpg 12.5 12.5 GBP InStock /Dining/Ruskin House This item is made in Stoke-on-Trent, England. 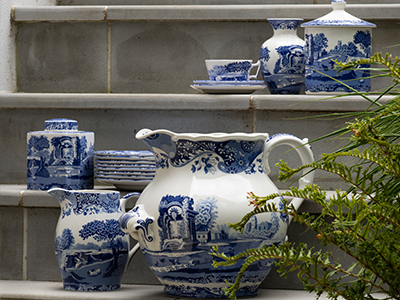 On-trend yet maintaining Spode's unique and unmistakable aesthetic, Ruskin House celebrates the best of British heritage tableware designs. Made in England, this mix and match combines three detailed leafy patterns in a beautiful evergreen colour. Ruskin House is made with the highest quality materials and its design will turn your table into a work of art.